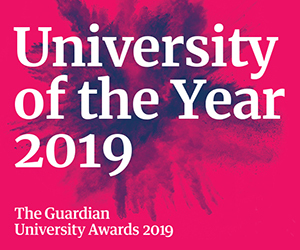 Nottingham Trent University always strives to celebrate the achievements of its female staff and students. To mark International Women's Day Friday 8th March 2019, the university will join women from all over the world in a two minute silent vigil at 12:00 midday 'your time'. The idea behind it is - your voice, your power, your rights. A moving video can be watched here. 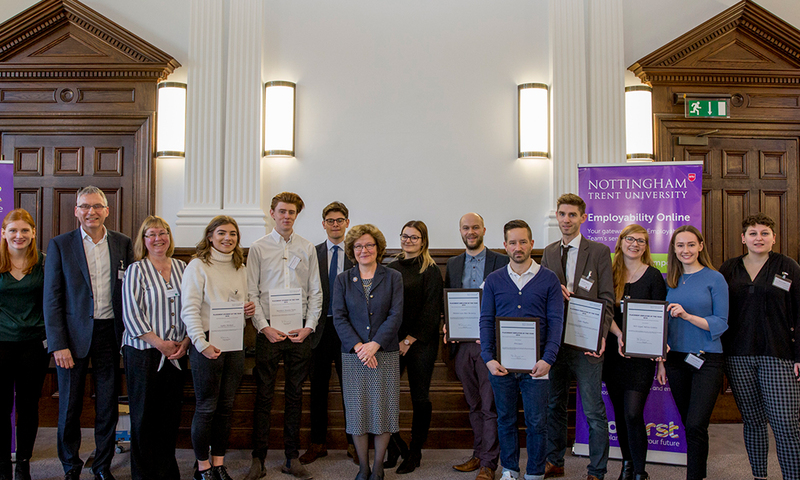 Its Employability Team also hosted an award ceremony for The Placement Employer and Student Awards that recognises students and placement providers that have exceeded expectations and performed admirably across a variety of disciplines and recruitment sectors. 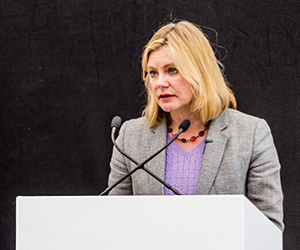 Here are some impressive women who received this prestigious recognition from Nottingham Trent University. The winner of Placement Student of the Year was Sophie Herbert, BA (Hons) Business Management and Accounting and Finance. 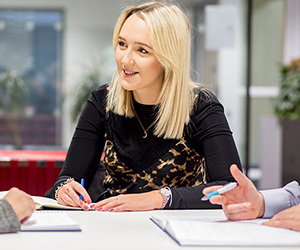 Sophie’s placement at Lloyds Banking Group was within Retail Credit Risk, which is responsible for all parts of credit risk management for Cards, Loans, Mortgages, Personal Current Accounts, Motor Finance and Retail Business Banking. 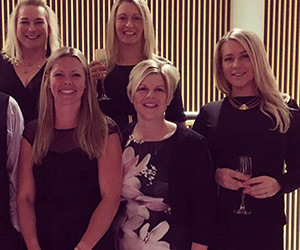 Retail Credit Risk is highly dependent on a variety of third party suppliers and the team in which Sophie undertook her placement was responsible for maintaining and developing critical relationships. 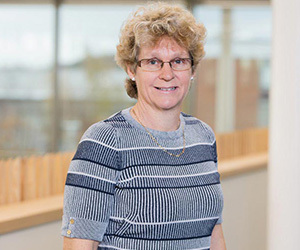 Sophie was responsible for supplier management activities, aligned to group governance standards and was a demanding and fast-paced role at a time when the department’s remit was broadening. Major successes included establishing a new intranet for staff to share information, creating new procedures and processes and providing data and analytical support for the negotiation of an important multi-million-pound contract. Sophie went above and beyond during her placement, achieving a TOP rating that placed her at an equivalent level to the top 1-2% in the company! As a result of peer, line manager and stakeholder feedback and an intensive assessment process, Sophie has been given a place on the Lloyds Banking Group Risk Graduate Programme. 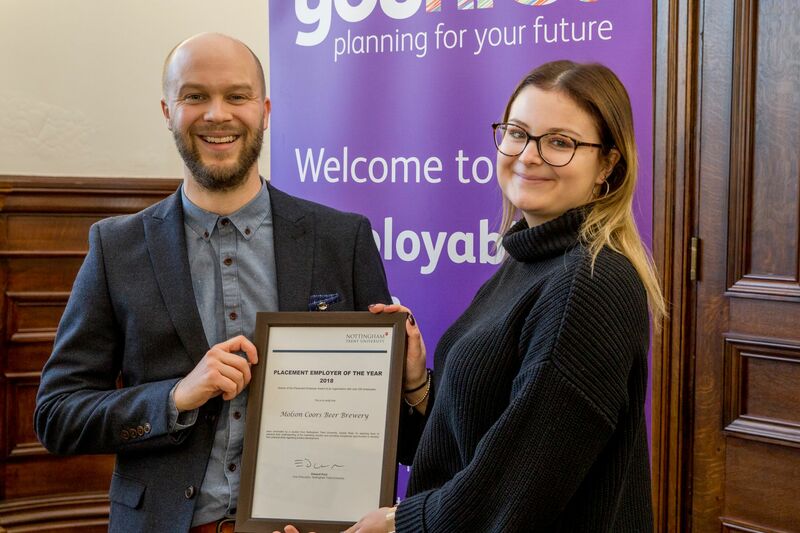 "A terrific placement which has provided great opportunities on both sides and we wish Sophie all the very best for the future – a bright future lies ahead," said Andrew Deacon, Senior Manager, Supplier & Business Management for Lloyds Banking Group. 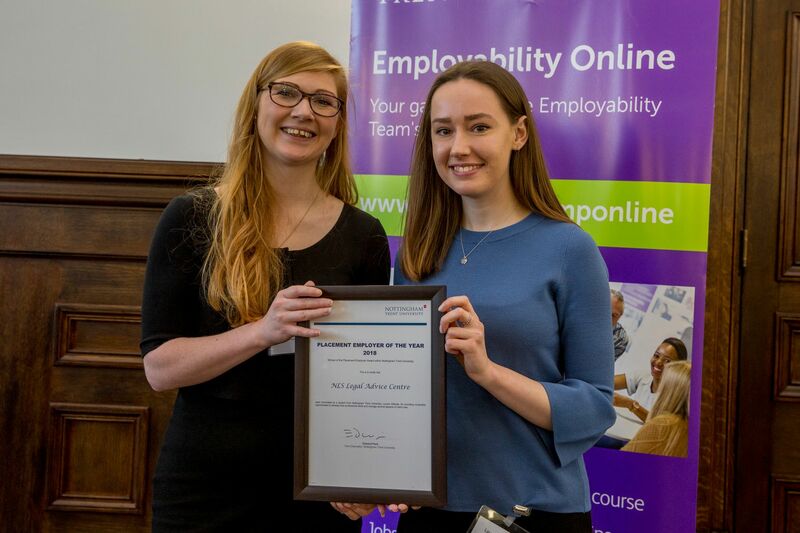 The winner of Placement Employer of the year was Molson Coors Beer Brewery, nominated by Sophie West who is studying Business Management and Marketing at Nottingham Trent University. The Molson Coors Brewing Company is a multinational brewing company, with representation across the globe. 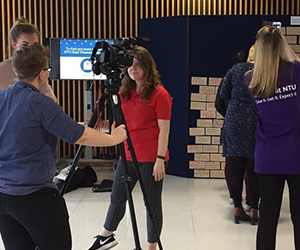 The organisation was nominated by Sophie as part of her year-long placement as a Digital Content Creation Executive. 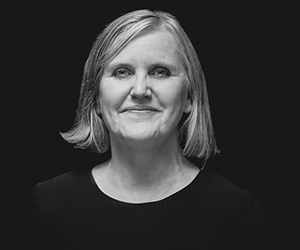 Sophie showed creativity, business acumen and responsibility, as well as opportunities to understand further about the Marketing and Digital industry. Sophie describes her proudest moment at Molson Coors was being involved in launching new products to market: All placement students at the company ran a year-long project to launch two branded beers into the UK market. 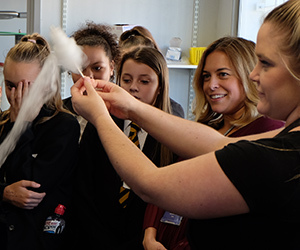 This involved learning skills across marketing, finance and overall logistics and proved both enlightening and rewarding. These products are now about to be launched. 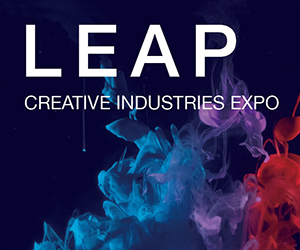 "I would like to nominate Molson Coors because they have given me so many opportunities to learn about marketing and the digital industry within my role. 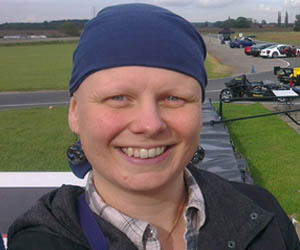 It is a great place to work," said Sophie West, BA (Hons) Business Management and Marketing (SW). 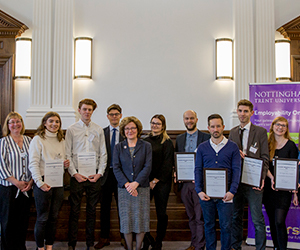 Winner of Nottingham Trent University's Internal Placement Employer was the Nottingham Law School (NLS) Advice centre, nominated by Lauren Kilbride. Lauren put forward the NLS Advice Centre she thrived in a placement where she learned about different aspects of law. These included client interviews, legal research and drafting official correspondence. Lauren was able to manage her own caseload, which increased her understanding of the legal sector. She was delighted to be given the chance to represent clients in Social Security Tribunal and stand in front of a real judge. 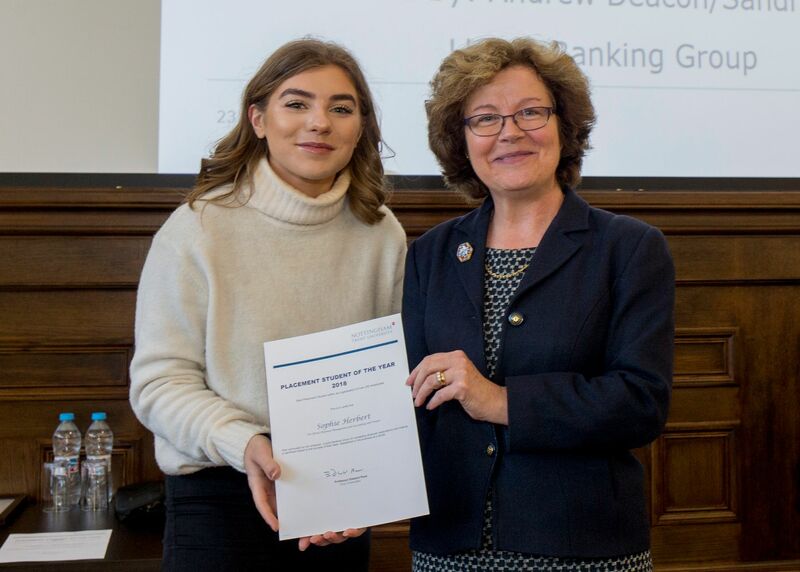 The best part of Lauren’s placement in the Advice Centre was being chosen to manage the Student Committee’ in which she won 'The Law School Challenge’ award, which she collected from the House of Commons. 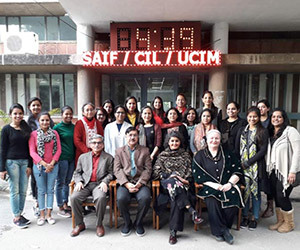 "The Centre provided me with many incredible opportunities that have pushed me further and improved my personal and professional skills in many areas. I cannot thank them enough for this experience!" said Lauren.